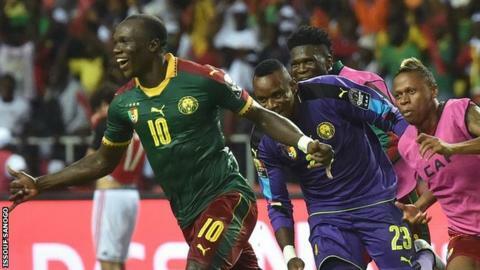 Africa Cup of Nations winners Cameroon have risen 29 places to sit 33rd in the latest Fifa world rankings. The Indomitable Lions move from 12th to third in Africa behind top-ranked side Egypt, who they beat 2-1 in Sunday's Nations Cup final. Egypt occupy the summit for the first time in over six years, and now sit 25th in the world - up from 37th. Nations Cup quarter-finalists Senegal, the top African side last month, are second in Africa and 31st overall.